Product code: ES7789 Categories: Sold Items, Sold Jewellery. 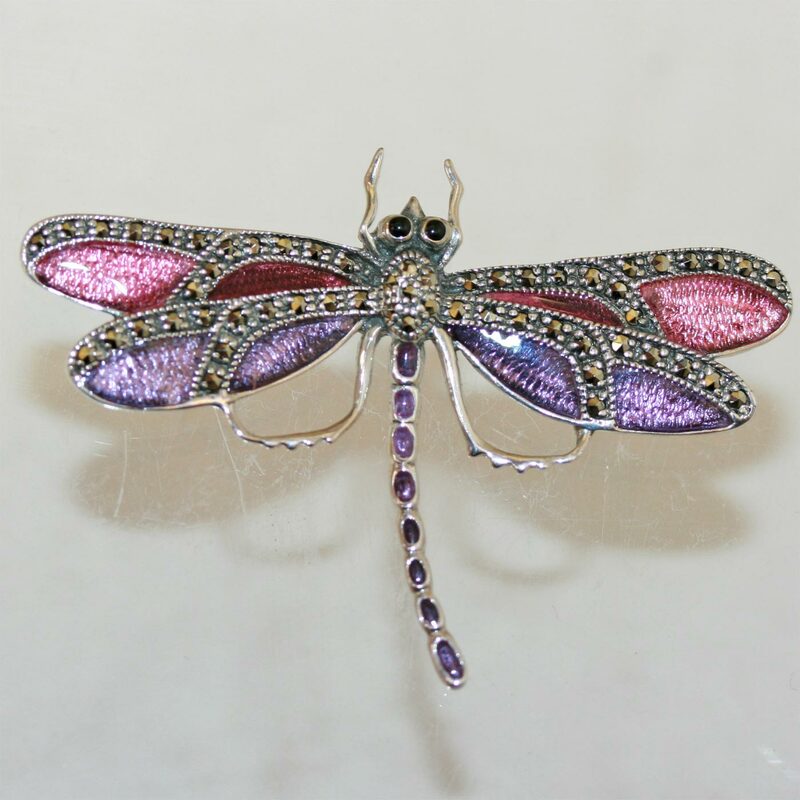 This is a wonderful enamelled dragonfly brooch set with marcasites to give it that extra sparkle. Made in sterling silver, this piece would look great against most background colours. The purple and blue look wonderful, and being enamel feels smooth to the touch. This dragonfly brooch measures 5.3cm across, making it a great size to wear for all occasions.